A cross-dressing female frog-catcher, a couple of evil trapeze artists, a hard-drinking prostitute, a baby farm, a smallpox epidemic, and an unsolved murder. Now, this sounds like the recipe for a page-turner! Unfortunately, this is a case where the old adage “the truth is stranger than fiction” applies with force. That cross-dressing frog-catcher, the trapeze artists, and the prostitute? Oh, they’re all real. But I bet they were far more interesting when they were actually alive in San Francisco back in 1876. 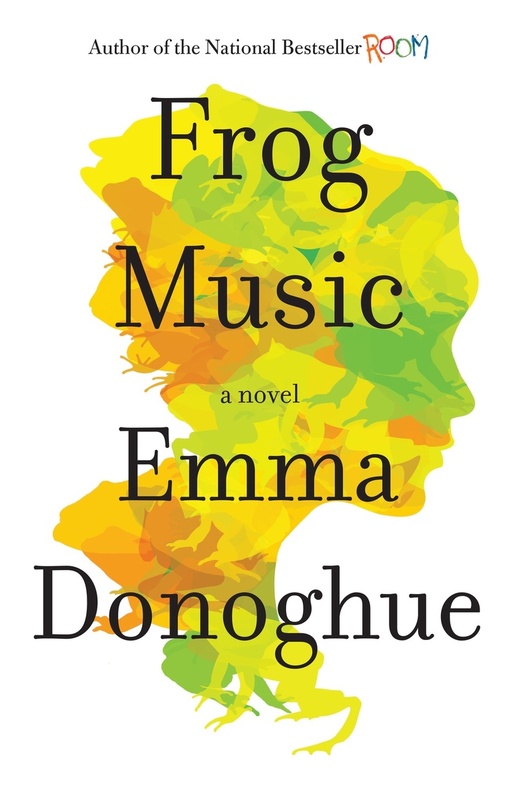 In her new novel Frog Music , Emma Donoghue writes a whodunit based on the true events and bizarre cast of characters surrounding the unsolved murder of Jenny Bonnet, an outlaw and former prostitute. Jenny gets arrested regularly for dressing in men’s clothing and makes a living catching frogs and selling them to restaurants (for the legs, of course). 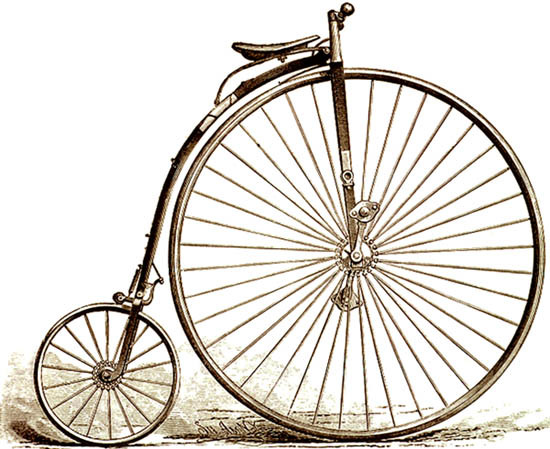 She scoots around town on a stolen high-wheeler, which she is riding the day she literally bumps into Blanche. Blanche is a sought-after and successful dancer and prostitute at a brothel called the House of Mirrors. She is a sugar momma to her longtime lover, Arthur, and his best friend, Ernest. Blanche met Arthur and Ernest at the Cirque d’Hiver in France, where she was an equestrienne and they were trapeze artists. Blanche and Jenny soon become friends. Under Jenny’s influence, Blanche starts to act a little differently. She begins to question things about which she had previously remained blissfully ignorant. She stops accepting the status quo. This new attitude disrupts her work at the House of Mirrors and her relationship with Arthur and Ernest. Before long, Blanche follows Jenny out of the city to get away from her troubles, and soon thereafter Jenny is murdered. Blanche, who is sitting on the bed right next to Jenny when Jenny is shot, walks away virtually unscathed. Blanche believes that she is to blame (and was likely the intended victim) and is determined to find Jenny’s murderer. History provided a great setting and larger-than-life characters . . . but this book is bland and colorless. Donoghue appears to have gotten stuck somewhere between fact and fiction. Perhaps she wanted to remain as true as possible to the accounts of the people about whom she was writing. But when you’re writing about people from 1876, you’re going to have to supply some interesting detail (this is fiction, after all!) to make the characters come [back] to life. She failed to do that for either the city or its inhabitants, and both fall flat. Blanche frequently allows herself to be taken advantage of by men and purports to enjoy it (“[W]hether or not she wants Arthur and Ernest to take her at both ends hardly matters at this point. The trampling on her will rather excites her; her body likes having its mind made up for it.”). Doctress Amelia Hoffman takes on unwanted babies and keeps them, barely alive, suffering from Rickets, and writhing in soiled linens, in dark rooms crowded with rows of cribs. Tellingly, the only likeable female character is Jenny . . . who has been arrested numerous times for dressing like a man. The book employs a clunky split chronology. It jumps back and forth between the days leading up to Jenny’s murder and the days just following Jenny’s murder, often mid-chapter. Because the characters are all the same and the timing is not far removed (Jenny and Blanche only knew each other for about a month before Jenny was murdered, so the book’s events take place over a month and change), this device serves only to slow down the pace of the book. Many of the characters (including Jenny and Blanche) are originally from France, so the book is peppered with French words and phrases, most of which are curse words or vulgarities. Many of the words and phrases are defined (if not explicitly, then in context) when they are used, and there is also a glossary of French terms at the back of the book (it’s five pages long, so that should give you an idea of how many words and phrases are employed throughout the book). I speak French, so the inclusion of French words didn’t slow my reading, but I imagine if you had to look in the glossary for every word or phrase used, that would get very old, very quickly. The titular “Frog Music” refers to two things: 1) the calls of the frogs that Jenny Bonnet catches (“Well, they don’t make their music just to pass the time . . . They might be shouting out, Here comes the rain, or Predator nearby, or Help! The females have a special low call for Get off my back, I ain’t in the mood,” and, more significantly, 2) the (mostly) French folk songs that are sprinkled throughout the book (buskers sing them on the street, Jenny hums them to herself, Blanche performs them during her shows, etc.). Some are well known (like “Au Clair de la Lune” and “The (Daring Young) Man on the Flying Trapeze”), and others are songs that haven’t stood the test of time (like the bawdy Southern Appalachian ballad “Bang Away, Lulu”). They don’t add much to the book (aside from providing fodder for its title), but a lot of time is spent on them—including nearly fifteen pages of “Song Notes” at the end of the book. Mostly, the use of the music seems like a way for Donoghue to show off her extensive research. This book is far from horrible. Personally, I enjoyed the inclusion of the French phrases, and the characters (although they could have been embellished more) were fun. But when you finish reading the book and discover from the lengthy afterword how much of it is based on real-life events and people, you realize how far short of its potential the book falls. What you should read instead: If you haven’t read any of Donoghue’s stuff, I would suggest reading her last book, Room, instead. It is engrossing and creative and at once creepy and hopeful. The title is derived from the 11′ x 11′ space where five-year-old Jack (the first-person narrator) lives with his mother. Jack was born in the room and has never stepped foot outside its walls. Unbeknownst to Jack, he and his mother are being held against their will by a sexual predator. This entry was posted in Rating: 2.5/5 and tagged Book review, Book Reviews, Books, Emma Donoghue, Frog Music, Room. Bookmark the permalink.